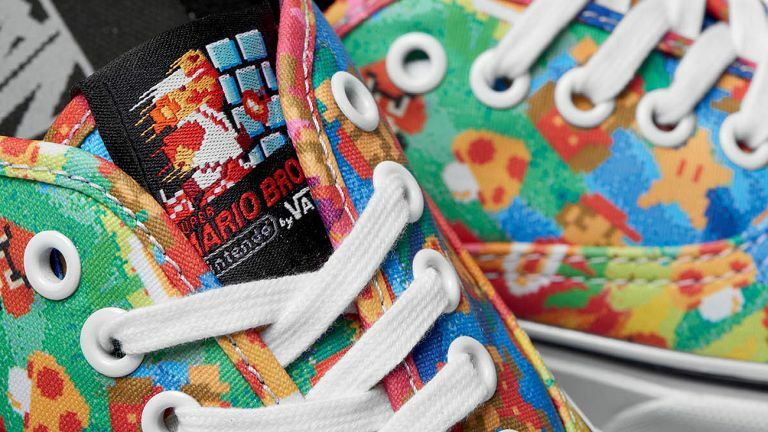 Sometimes when two brands come together you get a perfect storm of awesome - take the soon-to-be-released team-up between Japanese games publisher Nintendo and American skateboard shoemaker Vans for instance. Rad footwear branded with some of the big N's most iconic characters and images? For reals? Right, where did we leave that 'take my money now' meme? The range, featuring designs including Super Mario Bros, Duck Hunt, Donkey Kong and more covers everything from simple high tops, to Nintendo-themed sandals, rucksacks, and caps. Licensed footwear doesn't always work out, but if the final products can look as good as those Batman/Joker/Harley Quinn shoes that Converse did a year or two back then we're about to reach peak geek very, very soon. The range is available now for 'Eary Subscribers', and later in the month for non-subscribers. With the new Nintendo NX console apparently no showing this year's E3 even in LA, we'll take all the Nintendo-themed products we can get.